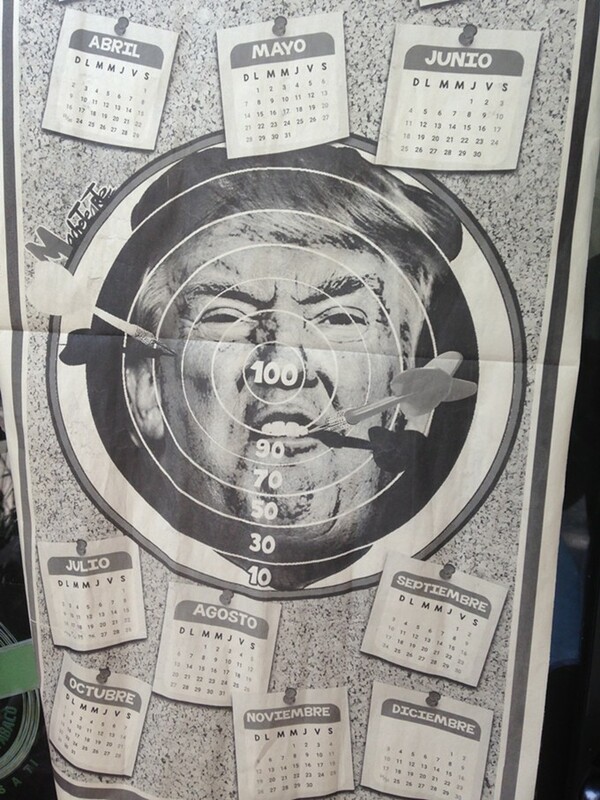 A 2017 calendar taped to a storefront in Mexico City. Mexico City's Twin Tones, who recorded an album with the author (from left): Gabriel López, Julián Huerta, Enrique Casasola, Dan Stuart, Israel Martínez, Darío Maldonado (photo by Gerardo Landa). A father shows his son the Templo Mayor in the Centro Histórico of Mexico City. Teenagers enjoying the Zócalo in Mexico City. A view heading north from Zacatecas towards the border. Street art in Mexico City neighborhood La Roma symbolizing people attempting to free themselves. A young woman enjoys a virtual reality coffin during Day of the Dead celebrations in Mexico City. 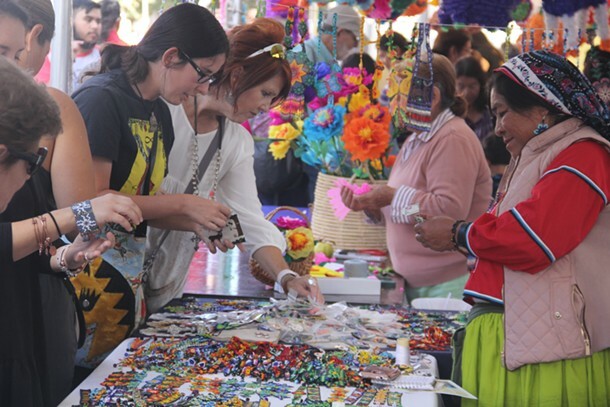 Two women proud of their ofrenda during Day of the Dead in Mexico City. An ofrenda honoring victims of femicide, Mexico City. Male relatives show off an ofrenda modeled on the family graveyard somewhere in the provinces. A street artist at work on San Jerónimo in Mexico City. A young boy busking in El Centro Mexico City. A tank makes it way through downtown Mexico City after a parade. Empty chairs honor murdered students in front of La Casa de la Memoria Indómita, Mexico City.